Commercial heating and air conditioning services that you can count on. Excellent Air Conditioning and Heating Services, Inc. offers the best, most reliable commercial heating and air conditioning services in NYC and Long Island. Whether you need repair, service or installation for any type of commercial heating or air conditioning system, we are here to provide it to you. 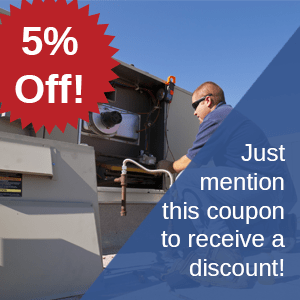 Get the best commercial HVAC Repair Long Island has to offer and boiler repair from Excellent Air Conditioning and Heating Services Inc. Call 631-427-0677. Finding a reliable technician to service and maintain your HVAC system can be difficult, but the experienced professionals at Excellent Air Conditioning and Heating Services, Inc. make things simple. If you're dissatisfied with the level of service you've been receiving from your current contractor, thinking of making a change, or facing the prospect of a major system overhaul, give us a call. Excellent Air offers much more than just a fast filter change. With over three decades of experience in the HVAC industry, we specialize in service and maintenance agreements custom tailored to your individual needs. Our pricing on system repairs is very competitive. Keep your HVAC system running perfectly year-round with a commercial service agreement from Excellent Air. We use an industry-leading four-step program from Nu-Calgon to perform routine maintenance on commercial HVAC systems. Regular checks and cleanings can help regulate air quality and lengthen the life of your HVAC equipment. Sick Building Syndrome, which causes widespread respiratory ailments in a facility's occupants, can be caused by inadequate HVAC services. Ensure optimal air quality and keep your employees and occupants healthy with a service agreement from Excellent Air. If your air conditioning system suddenly cuts out on the hottest day of the year, who are you going to call for help? Excellent Air offers 24/7 emergency services to our clients. No matter what the emergency, our three decades of experience mean we'll be ready to handle it. HVAC systems account for up to 40% of the total energy used in commercial buildings. With Excellent Air, make sure every penny of your energy bill counts. At Excellent Air Conditioning and Heating Services, Inc., we know that one size doesn't fit all. We work with each client to design a custom system that's tailored to fit their needs. Our clients have included industrial, professional, medical, and retail buildings, among others. With over 30 years of experience, we have helped many commercial customers in NYC and Long Island. In addition to repairs, installation, and service, we also provide equipment replacement, duct cleaning and duct work, ductless mini splits, air cooled coil cleaning, and preventative maintenance. Excellent Air has experience working with rooftop units, central air systems, and forced-air systems from a variety of manufacturers. For more information about our service agreements and HVAC systems, contact us today.